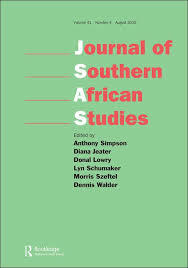 GovInn’s Co-Director Chris Nshimbi published together with Inocent Moyo the article ‘Of Borders and Fortresses: Attitudes Towards Immigrants from the SADC Region in South Africa as a Critical Factor in the Integration of Southern Africa‘ in the Journal of Borderlands Studies. South Africa attracts migrants from other parts of Africa, Asia, Europe, Australia and the Americas. However, the immigration debate within the country apparently revolves around immigrants from the other parts of Africa, including the Southern African Development Community (SADC) region, and projects them as undesirable in a way best interpreted as discriminatory and exclusionary. This paper argues that this, coupled with South Africa’s immigration legislation, policies and practices amounts to forms of bordering and exclusion that starkly contradict the country and its neighbor’s aspirations for a regionally integrated Southern Africa. As one of the few SADC member states that have ratified the 2005 Draft Protocol on the Facilitation of Movement of Persons in the SADC, immigrants and cross-border movers from the SADC region ought to be treated well in South Africa. Not doing so militates against the goal of an integrated Southern Africa and the commitments South Africa has made to the continental agenda of establishing an African Economic Community. 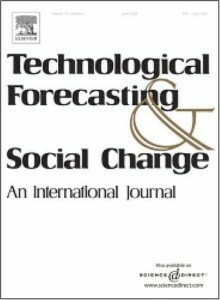 GovInn’s Senior Researcher Robin Bourgeois published the article ‘Foresight for all: Co-elaborative scenario building and empowerment‘ with others in the journal of Technological Forecasting and Social Change. We present here a co-elaborative scenario building approach, called Participatory Prospective Analysis (PPA) and discuss its relevance for empowering local communities/organizations. This approach is adapted from the French “La Prospective”. It is used as an action research engaging local farming communities in expanding their understanding of their own futures. Three cases of local implementation at farmer community level in India, Indonesia, and the Philippines illustrate how this approach was implemented. They are part of a global project in the field of food, agriculture and rural development, aiming at balancing the capacity to use the future, which is currently not fairly distributed to the detriment of local stakeholders, organizations and communities. Our results focus on the emergence of futures literacy as a capability, its connection to local agency and societal transformation. Our discussion highlights what in this approach makes the use of scenarios empowering, beyond its participatory features. The capacity to use the future has a great potential for local agency, even if it does not guarantee that communities will have the power or the willingness to directly engage in actions. Nevertheless, this approach seems to be a promising avenue for making everyone a future-literate potential agent of change. GovInn’s Director Bruno Losch published the article “Can We Still Only Think ‘Rural’? 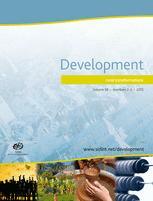 Bridging the rural–urban divide for rural transformation in a globalized world” in the journal Development. The international debate on structural change remains focused on sector–based approaches. The discussion on rural transformation is most often limited by the same long-standing bias. In order to answer the major challenges of their demographic and economic transition, many developing countries need to address their new rural-urban dynamics and to adopt territorial-based development strategies. GovInn’s Deputy Director Chris Nshimbi published the article ‘Life in the Fringes: Economic and Sociocultural Practices in the Zambia–Malawi–Mozambique Borderlands in Comparative Perspective’ in the Journal of Borderlands Studies. This paper examines the cross-border sociocultural and economic activities of the inhabitants of the contiguous border areas of Zambia, Malawi, and Mozambique (ZMM), in order to compare perceptions towards each of these practices by various actors including informal cross-border traders (ICBTs), ordinary inhabitants of the borderland communities of these countries, non-governmental organizations (NGOs), and state and local authorities, among others. The specific sociocultural practices in question include the accessing of social services, fulfillment of sociocultural needs/obligations, and the economic activities, informal cross-border trade. Legislations, policy reports and scientific publications are thoroughly reviewed and interviews with key policymakers, ICBTs, and locals are conducted. Qualitative and quantitative analysis of data collected from the interviews is also performed. Various actors generally regard accessing social services (such as education and health) across borders by nationals of neighboring countries as normal and “acceptable” practices while some forms of informal cross-border trade are regarded “unacceptable.” However, both sociocultural and economic actors engage in cross-border activities out of necessity, convenience, for survival, and as practices which they, being inhabitants of the borderlands, have traditionally followed. Representatives of state and local governments in the adjacent provinces of the contiguous borderlands should form transboundary coordinating committees through which to establish sustainable and effective burden-sharing and service provision systems, to meet the socioeconomic needs of borderland inhabitants.